At Autosport show in Birmingham will be reveled 2014 Lotus Elise S Cup R. The 2014 Elise S Cup R is designed specifically for the Lotus Cup racing series and features 217hp, 184 lb-ft of torque, 1.8-liter supercharged four-cylinder engine, rear-wing spoiler, front splitter, winglets, rear diffuser and floor extensions. Owners can’t put license plate on it but they can race against other Lotus owners in the Lotus Cup, which is open to any owner of Elise, Exige, Evora, 340R or 2-Eleven. 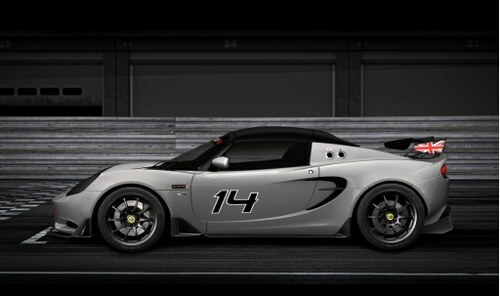 2014 Lotus Elise S Cup R costs approx. $62,900.